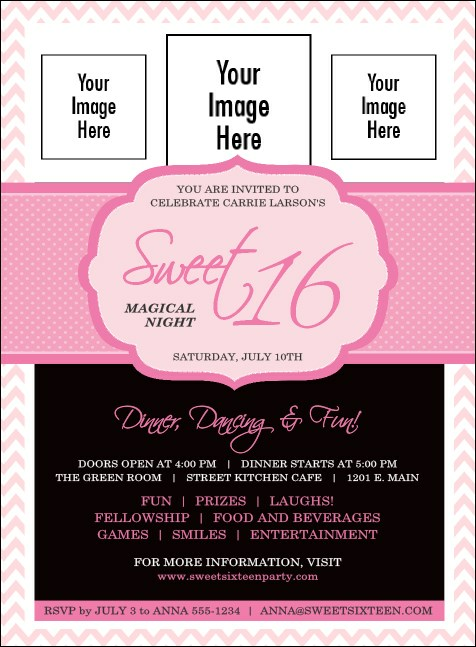 Promote your 16th birthday party with pre-event advertising that’s as sweet as you are when you print Sweet 16 Invitations and send them out in advance. These beautiful Invitation templates feature a gorgeous pink background design and give you space to upload as many as three of your own, unique images. Make your birthday memorable with TicketPrinting.com.